Approximately 18 women per day die from painkiller misuse or abuse, and approximately 30 women per day are treated in emergency departments for the same concerns . The Impact of Opioid Addiction in Pregnant women includes the use of heroin and misuse of prescription medications. In 2010, the National survey on Drug Use and Health estimated that 4.4% of pregnant women reported illicit drug use in the past 30 days, while 0.1% reported nonmedical use of opioid-containing pain medication . 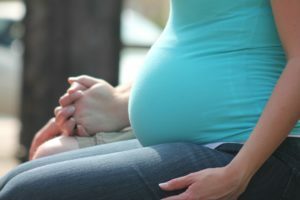 In a nationwide inpatient sample analysis, which focused on detailed information of 57 million pregnant women from 1998-2011, found that opioid abuse and dependence among pregnant women have more than doubled over the 13 year period, and that opioid abuse among pregnant women grew by 162% for women between the ages of 20-34 . Among this analysis, researchers found that opioid dependant pregnant women are nearly 5 times as likely to die during hospitalization, have longer hospital stays than those mothers who do not abuse drugs, and babies born to opiate dependent women are twice as likely to be stillborn, born prematurely, or suffer poor growth . In this study, pregnant women who abuse heroin, a type of opioid, 60-70% of newborns required at least 30 days of intensive withdrawal treatment from the drug . During pregnancy, chronic untreated heroin use is associated with an increased risk of fetal growth restriction, abruptio placentae, fetal death, preterm labor, and intrauterine passage of meconium. These effects may be related to the repeated exposure of the fetus to opioid withdrawal as well as the effects of withdrawal on the placenta function . Individuals also use a combination of opiates and cocaine referred to as speed-balling. Oxycodone when crushed can be swallowed, snorted, , or injected with a high that is similar to a heroin high . Opiates bind to the mu-opioid and kappa-opioid receptors found in the limbic and limbic-related areas of the brain . When opiates are in an individual’s system, dopamine is released and binds dopamine receptors, stimulates the postsynaptic cell and results in a positive emotional response to drug use . Opiate pathways light up the reward and reinforcement, modulate responses to pain and stress, and homeostatic regulation. Mu-opioid receptors produce analgesia, euphoria, and miosis and reinforces reward behavior, while kappa-opioid receptors produces the sensation of dysphoria, spinal analgesia, sedation, and miosis . Opioids and heroin are a short-acting drug, with the high lasting between 4-6 hours. When the drug begins to wear off, withdrawal symptoms start. When a pregnant women uses, and goes through the withdrawal process, the fetus does as well. It is the repeated episodes of withdrawal that are extremely damaging to the fetus . Within a medically supervised setting, an effective dose of opioid medication is less damaging to the fetus than the repeated effects of withdrawal. An effective dose is imperative due to the fact that too low a dose may prevent the onset of withdrawal symptoms but may not eliminate drug cravings or block euphoric effects of the drug. Medication-Assisted Therapy (MAT) provides an effect dose which can prevent the onset of withdrawal and possibly eliminate the drug cravings and block the euphoric effects of narcotics . In 2010 4.4% of pregnant women used opiates for non medical or recreational purposes, with the majority of women abusing prescription pain medications . Opioids appear to alter brain chemical functions and can impair the body’s natural ability to nourish and grow a healthy baby. When the drug enters the placenta, the drug can affect the fetus through developmental delays, damage to the placenta, abnormal uterine contractions, and reduce the blood flow to the placenta . Opiates interfere with the fetal developmental process, so depending on when opiate use occurs (over the 9 month developmental period) will have significant bearing on the pregnancy and fetal health. 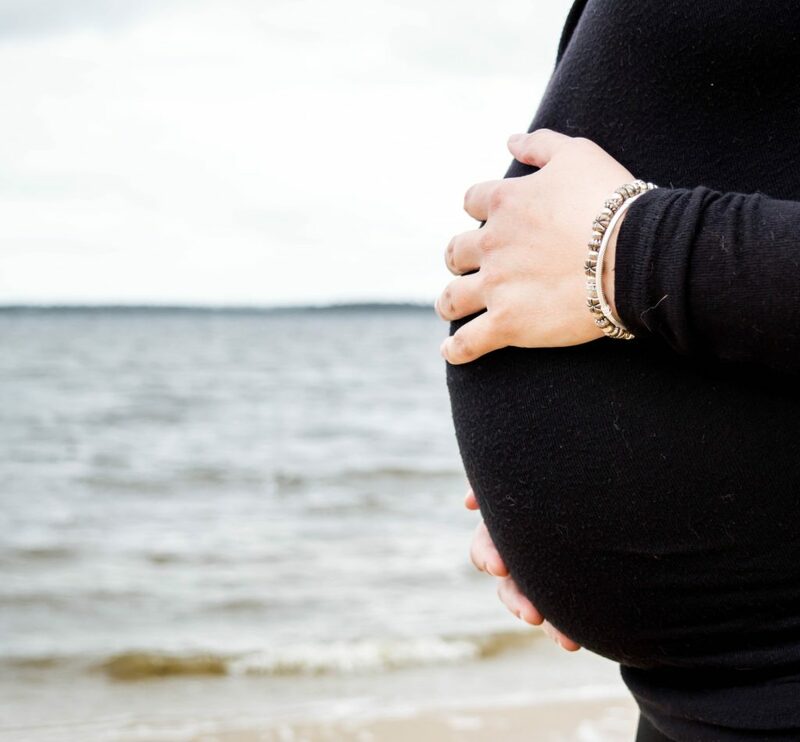 During the first trimester, organ development take place and this is the stage for the greatest risk for developing birth defects from opiate use. The second and third trimester organ and tissue growth occur as major systems in the fetus body . Early labor can occur at any point during pregnancy with large doses of opiates on a frequent basis. Neonatal abstinence syndrome (NAS) is an expected and treatable condition that follows prenatal exposure to opioids . NAS happens when heroin passes through the placenta to the fetus during pregnancy which can cause the baby to become dependant along with the mother. Symptoms can include excessive crying, fever, irritability, seizures, slow weight gain, tremors, diarrhea, vomiting, and possible death . NAS requires hospitalization and treatment with medication. The Keeping Children and Families Safe Act helps protect babies born with NAS. Hospitals are required to alert authorities when a mother is addicted to drugs to work with a social worker to assist families with life at home with a child . Birth defects typically occur when drugs such as opioids are taken between the fourth and tenth week of pregnancy. After that, healthcare providers work to talk with mothers about the dangers of neonatal withdrawal symptoms, education, and treatment recommendations . The current treatment for pregnant women with opioid dependence is opioid assisted therapy with methadone. Further evidence has shown that buprenorphine can also be used in treatment . Various studies have shown that tapered doses of opioids during pregnancy can result in relapse, and abrupt discontinuation can result in preterm labor, fetal distress or fetal demise . During intrapartum and postpartum periods, consideration needs to be made for appropriate pain management and to prevent postpartum relapse to opioids and/or risk of overdose. 71% of users relapse within 6 weeks of non medication rehabilitation efforts . In conclusion, prevention of opioid use in pregnancy is difficult due to many women begin abusing prior to pregnancy, and a majority of women who are pregnant come for their initial visit late in the first trimester, or early within the second, where the highest risk for damage to occur has passed. Often times treatment is post pregnancy for both the baby and parent to help with detox, withdrawal and therapy. What do you think about the treatment options for pregnant women who abuse opioids? Reviewed By: Jacquelyn Ekern, MS, LPC on January 26, 2017.